I have a thing for sanding sugar and sprinkles. I also have a thing for baking cookies, especially at Christmas. Cream cheese cutouts combine my “things” in the best possible way. The cream cheese adds a more grown-up flavor than regular sugar cookies. 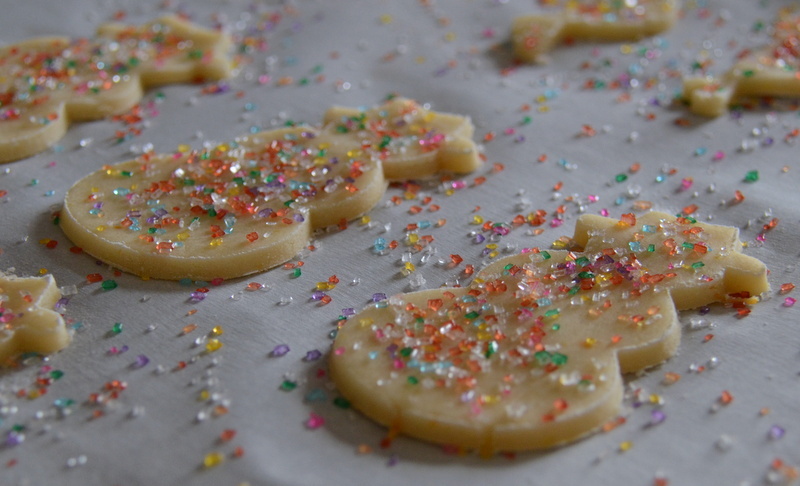 The cookies have a delicate texture and flavor that is enhanced by the citrus zest and juice (I prefer orange for Christmas) and the sanding sugar doesn’t feel like overload because the cookies aren’t overly sweet. Beware, though. Cream cheese cutouts go down easy. Too easy. If you aren’t careful, none of your cookies will make it to the cookie jar to fill your kitchen with sparkly Christmas cheer. The good news: the recipe doubles and even triples well so you can take precautions against too many disappearing cookies by making back-up batches. The hardest part of the whole process is choosing the color(s) of sugar and the cookie cutter shape(s). If only all decisions were this much fun! On a cool, lightly floured surface, roll out half the dough 1/8 inch thick. ** Cut into desired shapes with your favorite cookie cutters, dipping the cutter in flour between cuts. Place same sized shapes one inch apart on a parchment- lined cookie sheet. Sprinkle any festive decorations over the cutouts with abandon at this time. Bake at 375° for approximately 8 minutes or until the edges of the cookies are lightly browned. (Cooking times will vary based on cookie size). Let cookies cool for five minutes on the baking sheet and then move them to a wire rack to cool completely. Gather up the scraps and place them back in the fridge to cool down again. Repeat Step 3 with the second half of the dough. Only roll out each half of the dough twice. Beyond that point, too much extra flour is mixed into the dough and you’ll end up with tough cookies. Tough cookies = no good. A 2 1/2 inch cookie cutter will yield approximately 60 cookies. My snowman was about 3 1/2 inches which yielded about 40 cookies. * Dough should be very cold before you start to work with it. This will reduce the level of frustration exponentially, trust me. ** I put ice in a ziplock bag and lay it on the counter for several minutes before rolling out any cookie dough. The dough is easier to work when the counter is cool and the chilly temperature helps the cutouts keep their shape. This makes very pretty cookies. 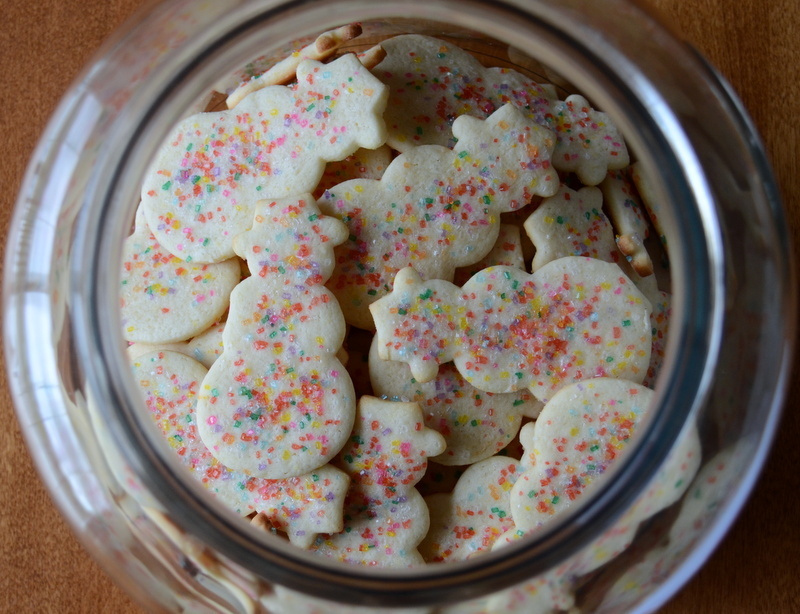 Pretty cookies = very good.